In September 2003, Gary Meekin decided he could offer better quality and value for money within the manufacturing and recycling industry and so General Maintenance & Diagnostics Ltd was born. By the time the company was created, Gary had spent over 20 years in the injection moulding business as a process technician and has spent the last 10 years as a works engineer & technical support for a local injection moulding & extrusion company. We offer engineering & technical support services over a wide range of industries. This service is offered either on an hourly or daily basis. Alternatively, we have yearly service contracts available, with our customers also offered the opportunity to allow us to take care of total site maintenance. Amongst the above services, we also have full workshop facilities that allow us to bring machinery in for full or partial overhauls. What’s more, we have our own in-house blade sharpening facility that allows us to re-grind customer’s granulator blades, ready for re-use. However, we don’t manufacture blades; we prefer to save you money by helping you make the most of the one you’ve got. Added to all of this, we are an approved PlastikCity Partner, as well as being SafeContractor approved, meaning you’re in safe hands with us. 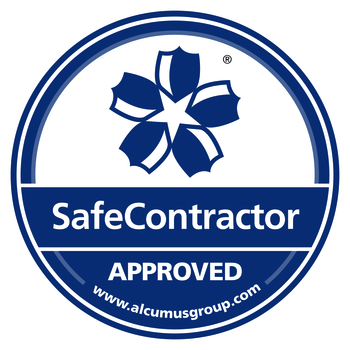 Being SafeContractor approved and accredited means we are taking our legal health and safety responsibilities seriously. What’s more, now that we’re working alongside SafeContractor, we have one of the UK’s leading health and safety accreditation schemes supporting us meaning, in turn, we can support you and your business even more efficiently. Interested? Get in touch and see if we can help your business today!